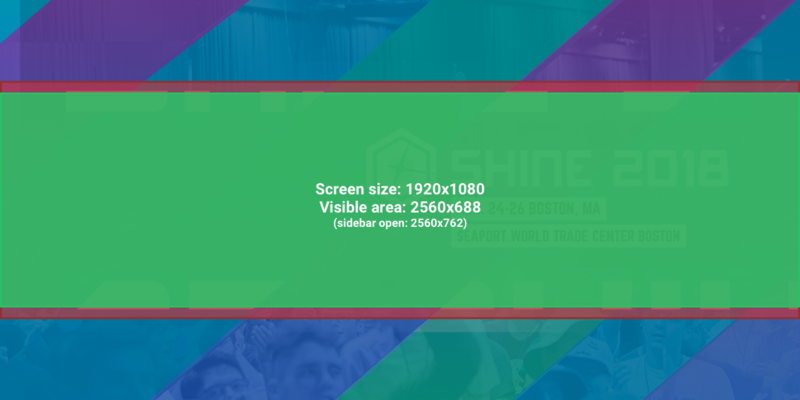 Image requirements and ideal dimensions for the banner on tournament pages. The recommended tournament banner size is 2560x1280. 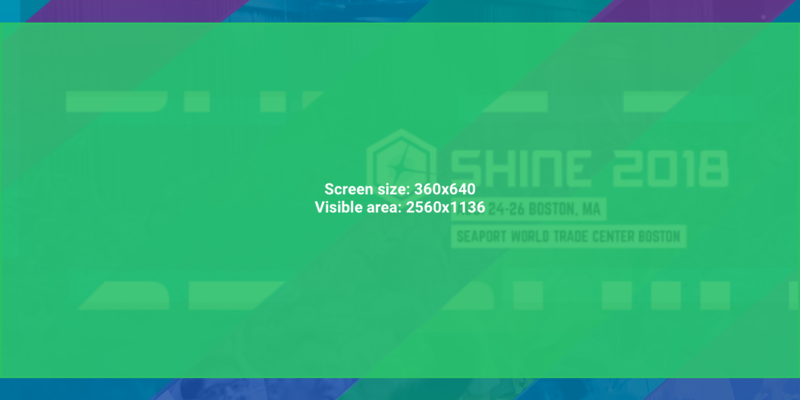 This is to ensure that the image is large and clear on all screen sizes. You may upload a larger image, however it’s recommended to use a height to width ratio of 2:1. 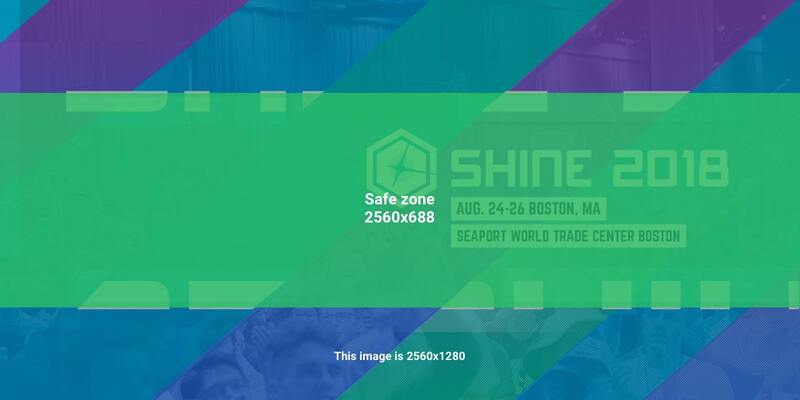 For a tournament banner size of 2560x1280, the green area in the image below depicts the safe zone. 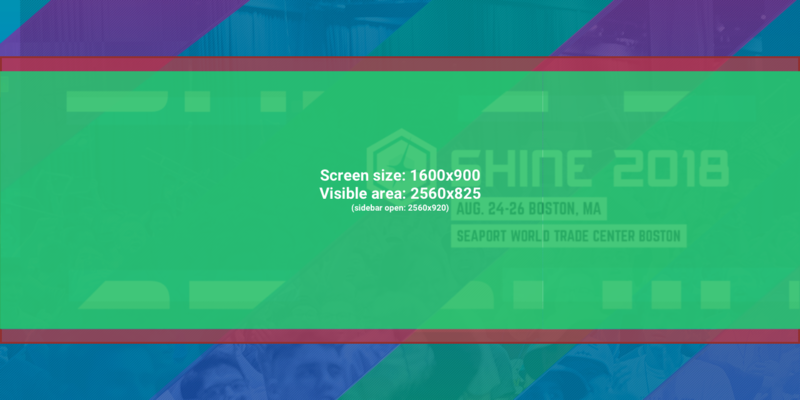 The safe zone is the area that is guaranteed to be visible on all devices and screen sizes. 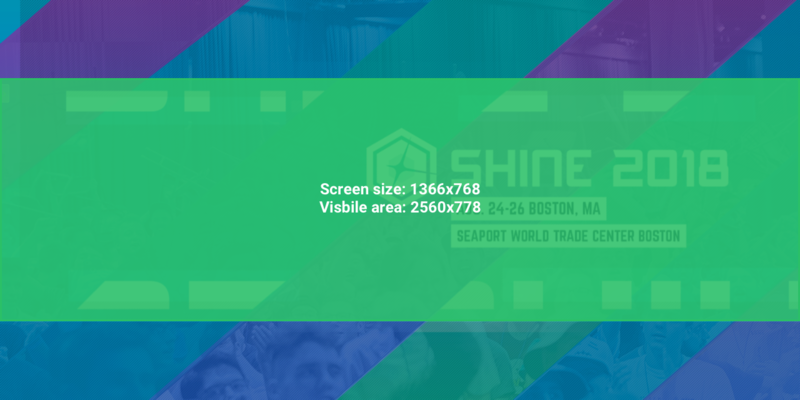 It’s best to put all important details within this zone, such as tournament name, dates, location, logos. Shine 2018 is a great example of a banner image that puts all of its important content inside of the safe zone. 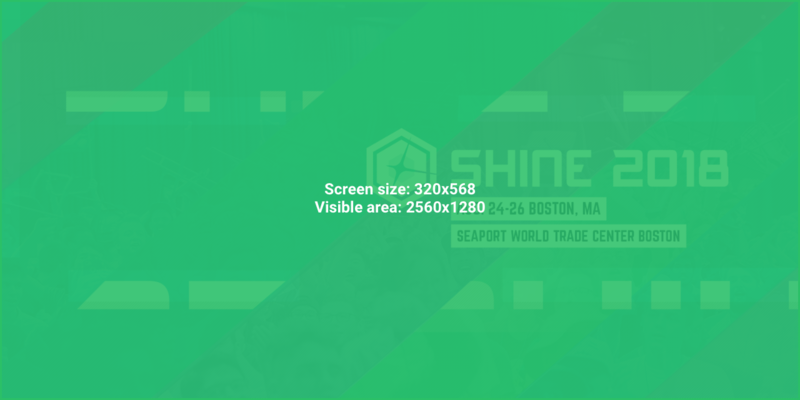 The images below depict the visible area for specific screen sizes (from smallest to largest), based on the upload size of 2560x1280. The red zone depicts the visible area of the banner image when the sidebar is opened.